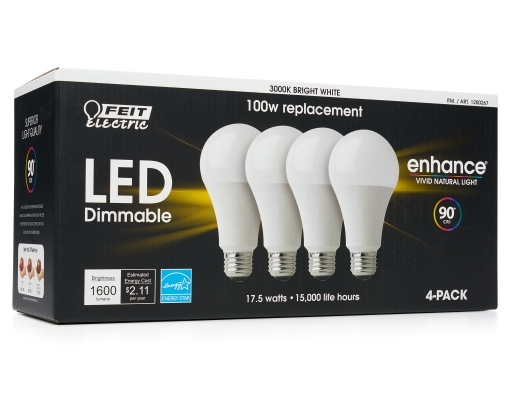 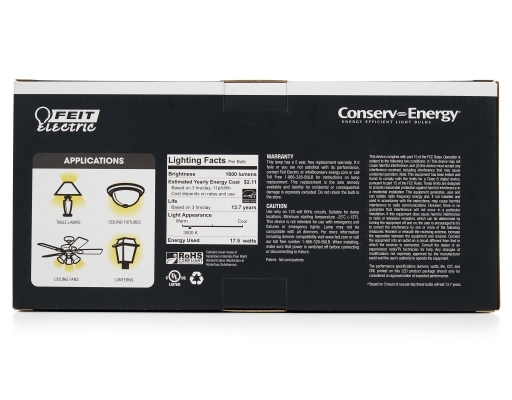 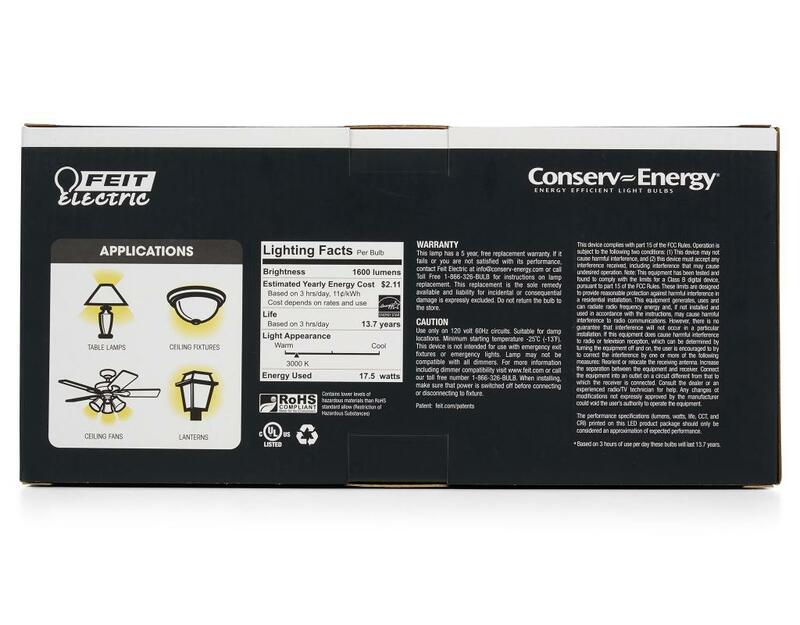 Enjoy all the benefits of advanced LED energy-saving technology with the Feit Electric 100W LED Light Bulb. 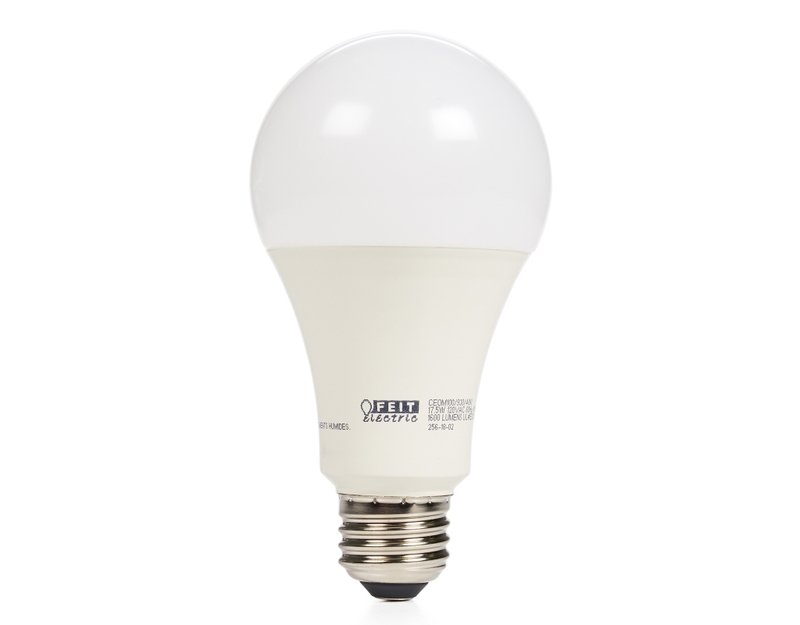 This 3000K daylight bulb is dimmable and will replace 100-watt equivalent incandescent bulbs. It produces a similar light output (1600 lumens) uses 17.5 watts of electricity and is omni directional. Get instant on to full brightness with relatively cool running performance. 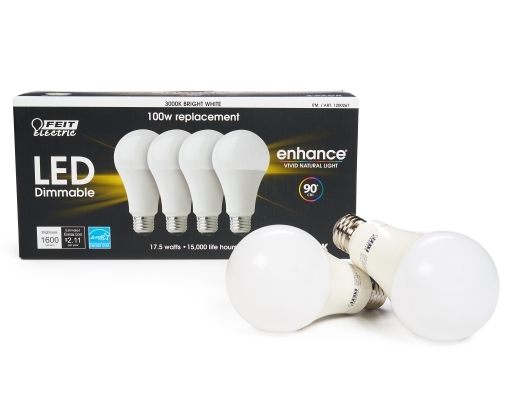 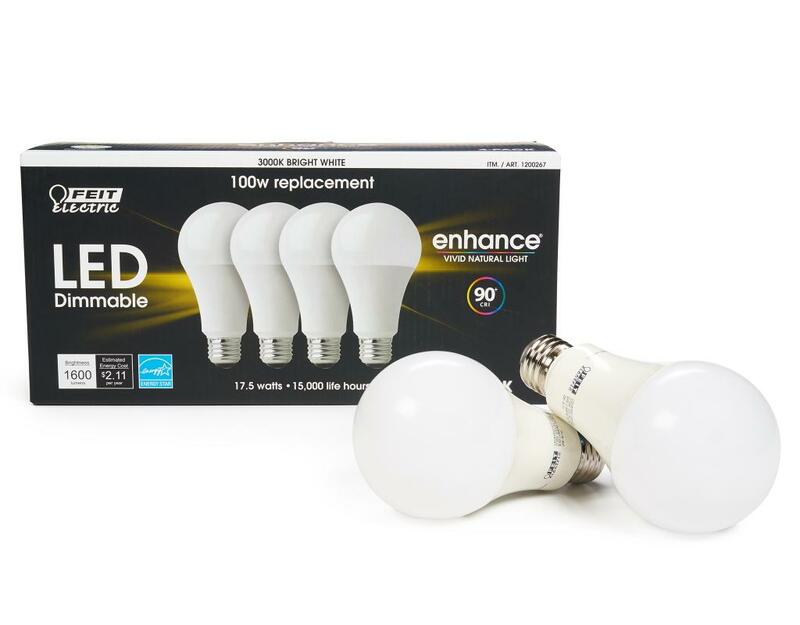 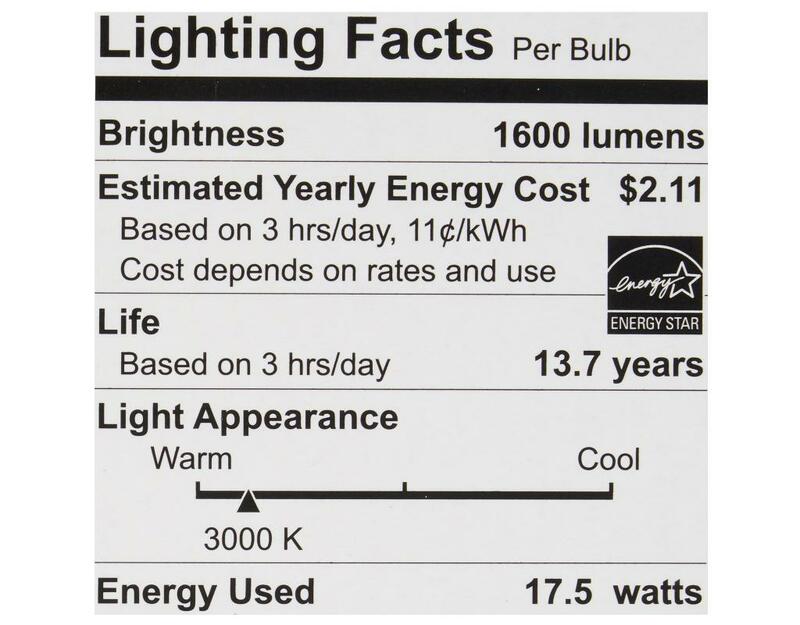 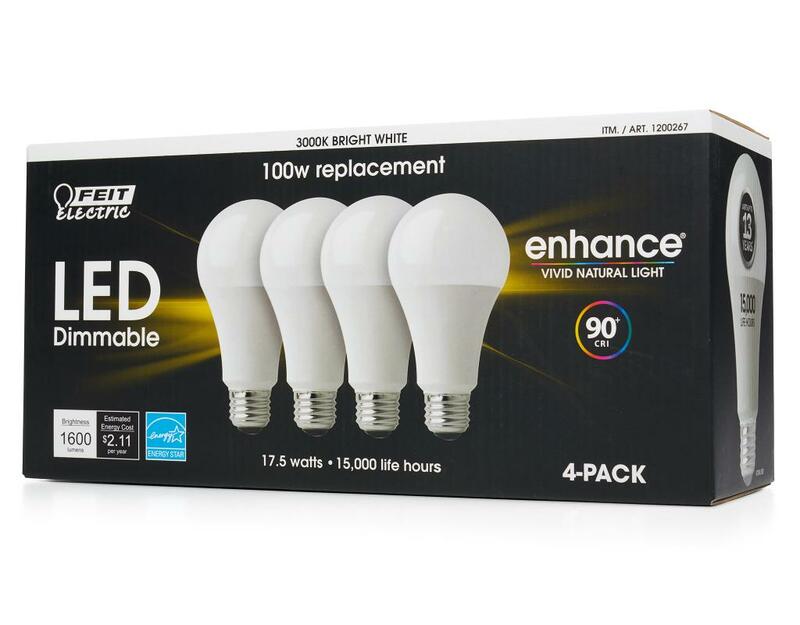 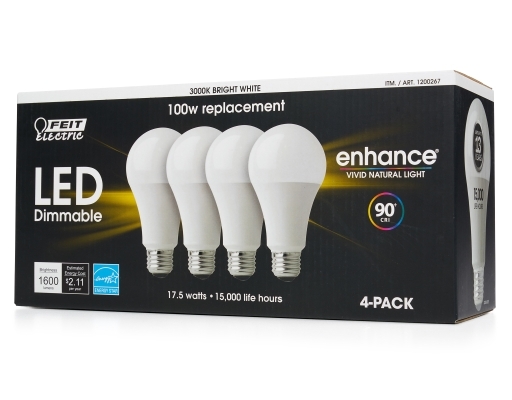 These bulbs have an average life of 15,000 hours/13.7 years are RoHS compliant and 100% mercury free. 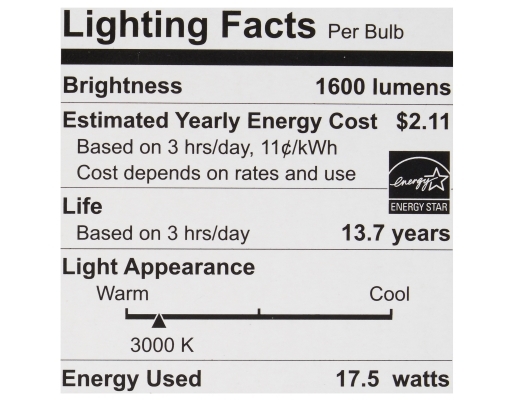 Choose a dependable Energy Star approved bulb for general purpose residential or commercial applications. 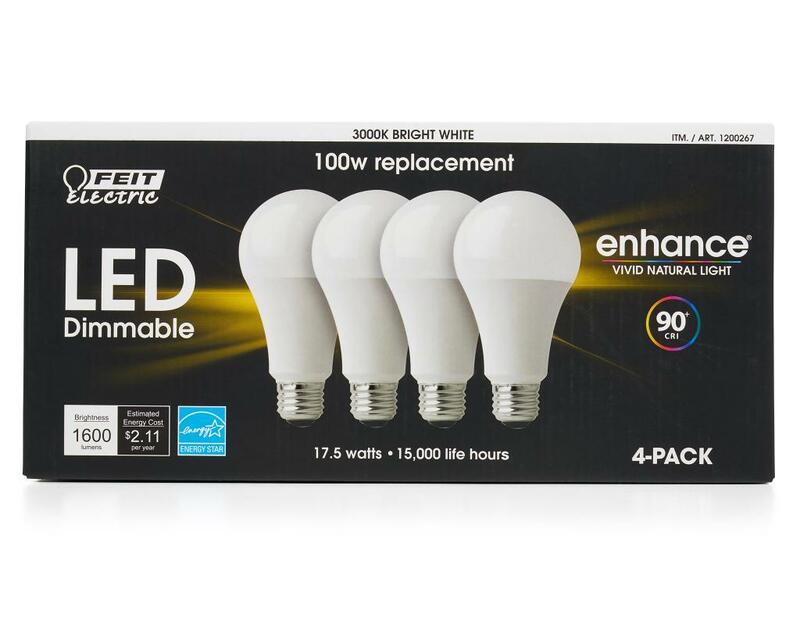 Suitable for enclosed fixtures.